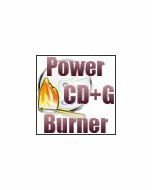 Play CD+G discs on your computer. 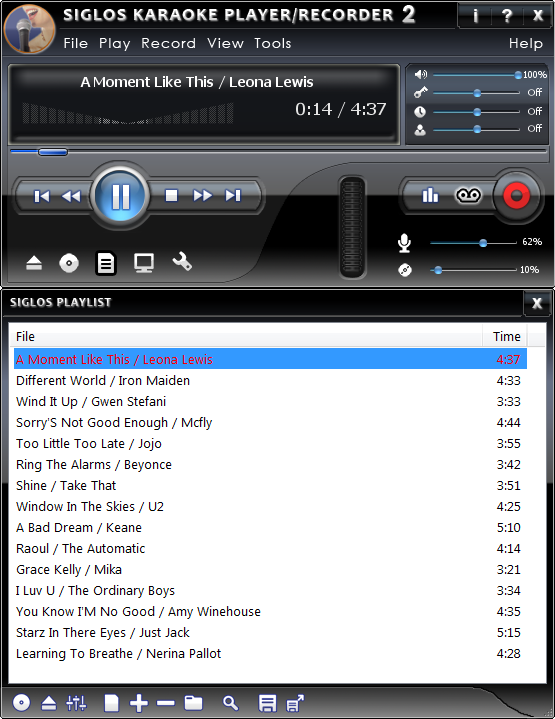 Siglos Karaoke Player/Recorder 2 is a software karaoke CD+G player. It will change your computer into a karaoke machine! System requirments: Siglos Karaoke Player/Recorder 2 works on Windows 10/8/7, XP and Vista. 1.5 GHz or faster processor, 1 GB RAM, and 32-bit display. To play CD+G discs your drive needs to be able to read CD+G subcodes -- most of them do, but please download the evaluation version now to make sure. 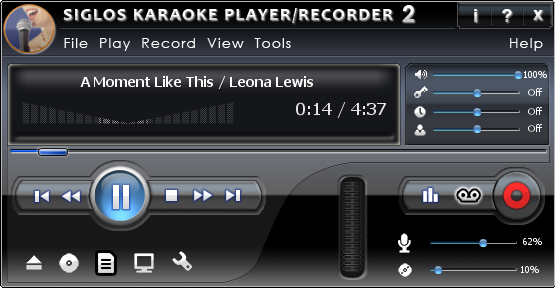 Siglos Karaoke Player/Recorder 2 is an easy to use software karaoke machine. Important notice: your CD-ROM drive has to be able to extract CD+G subcodes. Most of modern drives are capable of this, but we cannot guarantee it will work on all devices. Use trial version to see if your CD-ROM drive works fine before you purchase this software. System requirments: Siglos Karaoke Player/Recorder works on Windows XP, Vista, Windows 7/8/10 1.5 GHz or faster processor, 1 GB RAM, and 32-bit display. To play CD+G discs your drive needs to be able to read CD+G subcodes -- most of them do, but please download the evaluation version now to make sure. If you have downloaded the trial version and purchase the Siglos Software Player, an unlock code will be required to unlock the trial version to a full version. The unlock code is available once you purchase the software or go to our homepage, LOGIN, and then click on "Purchased Software" under My Account. Your unlock code is here. Activate the software, click on the HELP tab, enter in the correct info. Enter in the email address used on your purchase. The unlock tab will disappear if you entered in the correct info.